Welfare Minister Haim Katz says he will reexamine Shabbat work permits following the coalition crisis over railway work on Shabbat. Welfare and Social Services Minister Haim Katz (Likud) announced on Monday that he would reexamine the Shabbat work permits provided by his ministry to employees of Israel Railways. Katz's announcement comes amid the crisis surrounding the issue of infrastructure work on the Israel Railways during Shabbat. During the day on Monday, Katz convened a team of experts in the ministry in an attempt to end the current crisis and to review the permits which allow the work on Shabbat. Among other things, it was decided that the permits will be granted on a weekly basis rather than on a monthly or yearly basis - which created, among other things, the recent crisis. The crisis began when the haredi parties, Shas and United Torah Judaism, had issued an ultimatum, demanding that Prime Minister Binyamin Netanyahu restrict work by the state-owned rail company during the Jewish holy day. Giving Netanyahu 24 hours to comply, the two coalition partners threatened to bolt the government if their demands were not met. 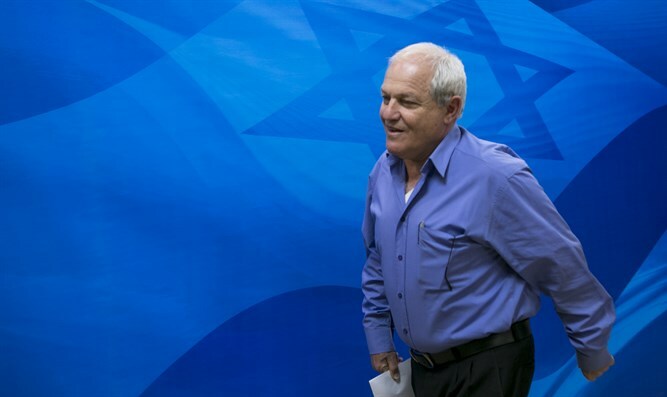 The issue remained one of contention and led to a war of words between Netanyahu and Transportation Minister Yisrael Katz. Last Friday, Netanyahu ordered the cancellation of all the infrastructure work that had been scheduled to take place on the Israel Railways over Shabbat and, in an unusually harsh statement, accused Katz of trying to cause a coalition crisis with the haredi parties by ordering that the work be carried out on Shabbat.